Fast moving middle grade mystery adventure involving three friends, Melanie, Kate, and Faye. While attending one of the mardi gras parades in Mobile, Alabama, the girls notice that some of the letters on the floats are upside down. They copy the letters R.C.E.N.R.A.P. In addition, the strange letters appear only on the high and “poufy” floats. These friends do some internet research, discovering that Mr. Simmingham is their designer. The girls visit the museum to investigate the floats stored from the parade they had missed and vow to attend the rest of the parades during the week to continue the investigation. But the friends must attend a history presentation on Saturday, so they enlist Matt to collect the information. The plot thickens when Matt is arrested; the girls are relieved to find he had already succeeded in his mission. They are unsuccessful in cracking the code until they receive help from an unlikely source. A visit to the cemetery leads to another hair raising adventure and unexpected rewards. Targeted for a middle grade audience of eight to twelve year olds, the plot moves along quickly. There is probably a bit too much dialogue, but that is appropriate for this age group. 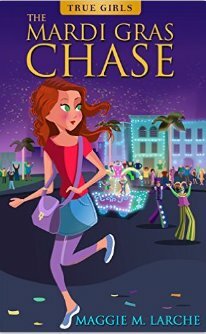 Strong female role models, strong family relationships, a tinge of scariness and mystery, plus the unusual Mobile mardi gras setting, set it apart from the typical middle grade adventure tale. First book in a series that will succeed if the characters continue to grow and evolve. This e book version is based on the 1999 book version of the same title. The authors have published more than 250 books in this series with the beloved Berenstain bears. I really enjoyed this book. As a bonus it includes an excerpt from The Berenstain Bears and the Phenom in the Family. At the beginning of the tale we encounter Ralph Ripoff relaxing at home when the doorbell rings. The door opens to reveal that Professor Zoltan Bearish has come to make a proposal. It appears that this is a very unlikely and strange relationship. The Professor is a well respected chemistry professor at the Bearsonian Institution. Why is he coming to engage Ralph Ripoff, the notorious swindler in a scheme? Simply because Zoltan wants revenge! Actual Factual recently had him fired from his position for what Zoltan considered a trivial reason. 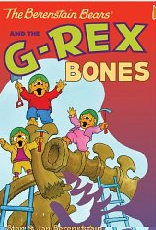 The reader learns that the well known dinosaur expert, Professor Factual has been searching for years to complete a T-Rex skeleton in the rotunda of the Bearsonian. Zoltan’s plans include faking the discovery of an even greater find, that of a giant dinosaur skeleton. He asks Ralph to find other accomplices and stage a fake digging discovery. Ralph is bothered by this because he does not want to hurt the reputation of an innocent man, but his love of profit wins out over his conscience. Zoltan manages to persuade Ralph and the swindle is staged. One year later after he is no longer in danger of being arrested for fraud, Zoltan will reveal that the discovery was a fraud by using chemical analysis. One of the bones is marked by a chemical symbol known only to himself. Plans do not go smoothly. The bear cubs are on a school trip when they notice something amiss in the desert, a large truck and some digging near Sandcrab Jones’ small house in the desert. They persuade Papa Bear to drive out to the desert to investigate. But the family lock themselves out of the car. A tour bus visiting the dinosaur discovery site rescues them, and affords them the opportunity to look around the discovery site.. Finally, the day for the sale and unveiling of the reconstructed skeleton arrives. Professor Actual Factual will be paying five million dollars for the skeleton. Will the fraud be discovered? If so, how will the culprits be discovered and punished. There are several surprises and unexpected events in store for the reader. 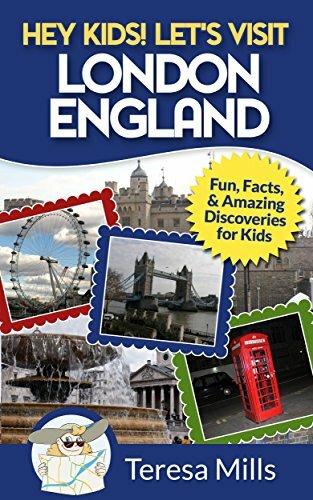 This nearly seventy five page chapter book will appeal to children who are dinosaur lovers, detective story enthusiasts, and of course, Berenstain Bear followers.